Emily Murdoch: Writer, Thinker, Fearless Flower. Blame It On The Honey Hill Bunch. From as far back as I can remember, I’ve been a writer. Writing was a natural progression for me, from abc’s and learning to read. I never chose to be a writer, or thought about it consciously; it just was. It was like, I am, therefore I write. 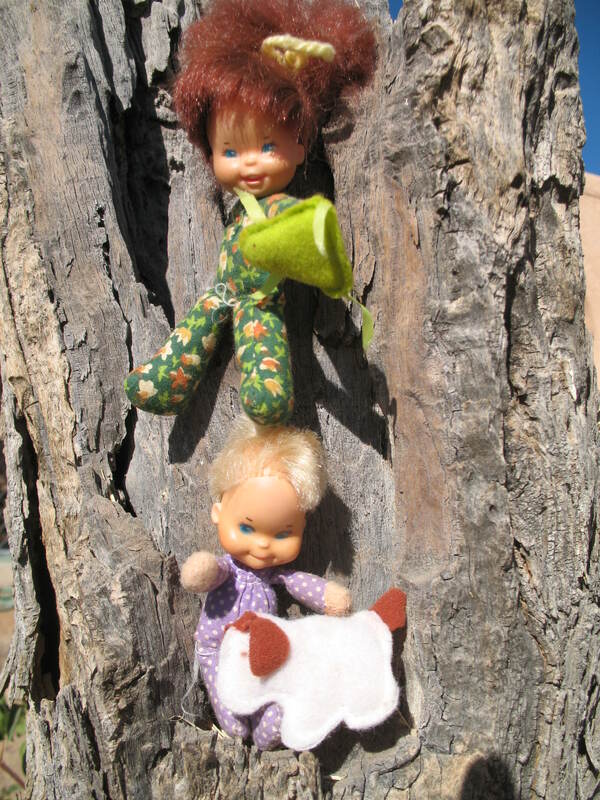 By age six, I was making up stories and writing them down or acting them out with dolls such as the ones below. I can’t believe I’ve kept these dolls all these years. I just turned 43 (on the birthday that I happen to share with Ernest Hemingway) and I started collecting these dolls at ages nine and ten. Many winter saucer and sledding afternoons were forsaken to shovel the neighbors’ driveways and walkways, saving up for the next doll. When I found them this morning in an old wicker trunk filled with some of my (unedited) writing and poetry, I was transported back in time. Plus, they made me laugh. What a long, strange trip it’s been, from then to now. I would have to say they are one of my most prized possessions. 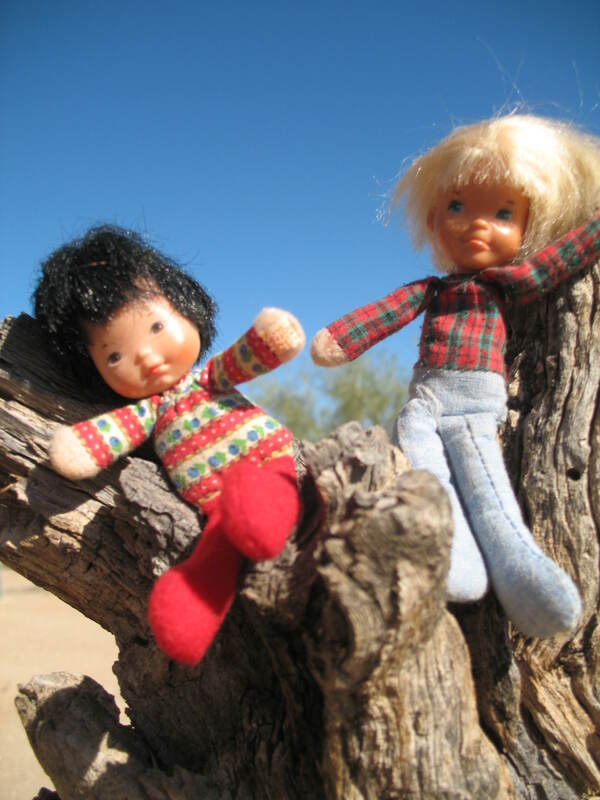 The hairstyles are a little smushed and the clothing is missing, having become hand-me-downs to other dolls over the years, like kids in a real family. 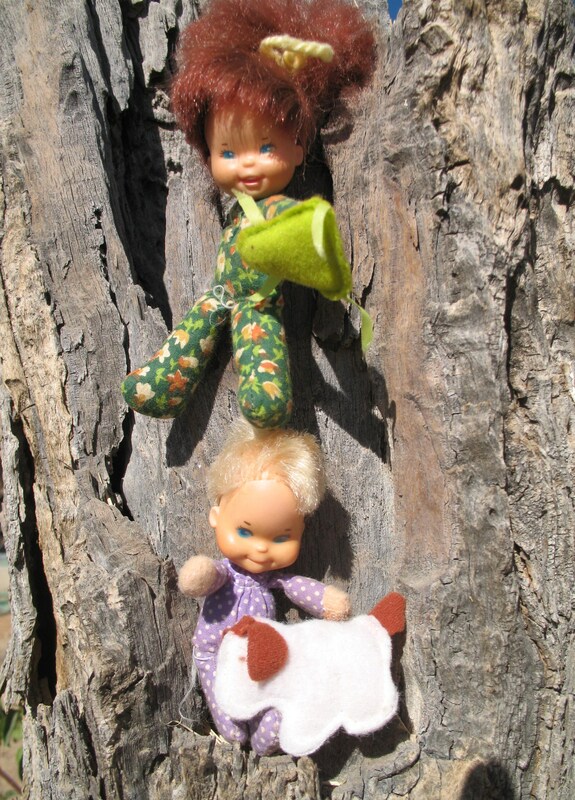 However, overall, the dolls remain in good shape. Now that I think about it, I gave the littlest doll a haircut. There are things that have remained constant throughout my life: I love to write, I love to read, and I love peanut butter and jelly sandwiches. The Honey Hill Bunch is another. I’m so glad that, through all the life changes and moves in between, the dolls are still with me. I tell myself, so what if you’re a writer on Query Road, plying your trade for free, unable to hook an agent to date but enjoying every word? Now I know who to blame — it was the dolls, I tell you! Blame it on the Honey Hill Bunch! Blame it on the adventures they took me upon! I just found the time capsule — oops, I mean, site — below, and it gave me goosebumps! And, I just realized that there are three Honey Hill Bunch dolls I didn’t have! I better start my list for Santa ASAP. so we really stick together. See. Have you changed the world, today? Authors Rating Their Own Books Five Stars? How Tacky! So much IF YOU FIND ME News Plus Video! Have A Question? Bring It On! IF YOU FIND ME nominated for the Connecticut Nutmeg Book Award! If You Find Me Nominated For The Green Mountain Book Award!